I wanted to highlight three good blog posts about charter schools that came out this weekend from those for and against charter schools. This weekend the Tennessean posted an article about how two charter schools acquired bonds from the Nashville government to help fund the cost of renovating or building new schools. Seeing how MNPS does not give money for charter facilities, charter schools have to find ways to fund remodels, expansions, etc. As the Tennessean previously reported, the city of Nashville is spending millions for renovations and land for new buildings for traditional MNPS schools. Charter schools don’t have the luxury of the Mayor funding new buildings for them, and many traditional schools have to wait years and years to get renovated or a new school. Two charter schools used perfectly legal measures to gain bonds from the city of Nashville, and that made some anti-charter elected officials upset because they didn’t know it took place. My position on charter schools is well documented. I believe wholeheartedly in the power of public education as a cornerstone of our democracy. But, I am baffled by people who can recognize the futility of the drug wars and its basis in attacks on the suppliers who fail to see the paralles playing out in the fight for public education. Repeatedly attacking suppliers while ignoring why there is demand is a strategy that has demonstrably failed to achieve success in the drug war and offers a preview of what to expect if we employ the same strategy in the fight against charter school proliferation. If we don’t address demand, parents will continue to search out alternatives regardless of how had we try and paint that alternative. Earlier in the year, several hundred Antioch HS students staged a walkout over conditions in their school. An action that was never oppenly addressed by the school board. Last week I recieved documentation that shows over 60 teachers have left Antioch HS this year and that the Principal non-renewed 10 more. I’m told that they have roughly 115 teachers total. After the student walkout Dr. Joseph held a restorative justice circle with the teachers. They told him that if he didn’t do something about the principal he was going to lose a lot of teachers. 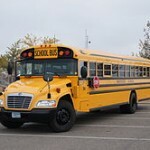 Joseph’s reported response was that the principals was not going anywhere and the teachers could either get on the bus or get run over by the bus. Antioch HS is not the only school in the district facing huge teacher turnover – Sylvan Park, Warner, Overton, Joelton, to name a few. I ask you, which story, charter school building finance or high teacher turnover, do you think has greater impact on student outcomes? Which story has the ability to affect charter growth? If I’m a parent in a school with that kind of teacher turnover and my only choice is enrolling in a school that appears more stable but uses dubious means to fund its capital investments, where do you think I’m going? We need to be asking why parents are heading to charter schools and make changes so that parents don’t want to leave their zoned school. Teacher and blogger Josh Rogen addresses this very issue in his latest blog post. Josh does a great job graphing numbers to show a clear picture of why some families decide to leave a traditional school. He breaks down the achievement of schools based on the percentage of students of color in the school. The answer is clear. If you are a Black, Hispanic, or Native American parent, and your zoned option is predominantly Black, Hispanic, or Native American, your best option is to send your child to a charter school if you value their overall growth, excellence, and the culture of the building they are being educated in. On the other hand, middle-class white people are not touched by charter schools, and so they don’t support them. I will say that it is awfully easy to hate charter schools when you have a good zoned option. It’s a lot harder to oppose them when your child is locked into a failing school because of their zip code. A little empathy might change the conversation. It’s really easy to fight for public education when your kids are not the ones sitting in the seats at our poorest schools. I’d love to look around and see all these education warrior’s children’s sitting in seats next to my kids and perhaps then we could get equity. 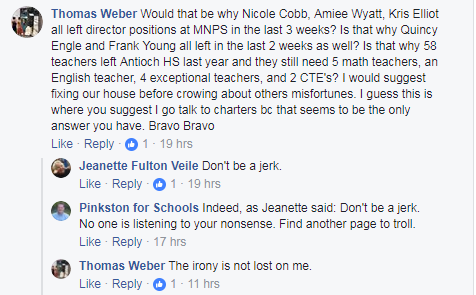 I also saw a comment someone made that said it was a “disgusting insult to the teachers, students, and parents in the system” when someone was disparaging MNPS. If that is what some people think, the same should be true for charter school. 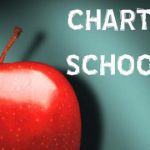 There are students, teachers, and families that have decided to work and/or send their kids to a charter school. The conversation has now turned into one where one cannot speak ill of MNPS and one cannot speak good things about charter schools. We need to have these conversations about both of them in a more collaborative way. Instead of spending time attacking charter schools, we should be working to improve our district so that families don’t feel the need to leave their zoned school. 374 parents sent a letter to the school board about these attacks, but the board never responded to those concerns. The silence shows that the board doesn’t want a dialogue with charter school parents. If we want to improve our district, we must communicate with all parents. So let’s come together and figure out why parents are leaving for charters. I don’t know if it’s already been done, but each parent should fill out a short exit interview when they withdraw their student for a charter. Let’s start focus groups with these parents. Let’s do more to find the concerns, fix the concerns, and see what happens. 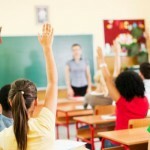 We already know what some concerns are: literacy rates, ACT scores, and behavior. Let’s spend more time listening and collaborating instead of attacking. As a teacher, I want success for all students. All students includes students who attend private, home, magnet, charter, or traditional public school.